The Tutta Bella Scholar Athlete Awards are given out at the end of each season (Fall, Winter, Spring) to one outstanding athlete in each sport who embodies leadership and success both athletically and academically. Tutta Bella, a Northwest restaurant chain, is dedicated to recognizing high school students who live in the community neighboring its restaurants. Tutta Bella in Issaquah, has committed to support this goal by acknowledging outstanding student athletes and their achievements. At the end of each sports season, the Booster Club asked the coaches nominating worthy candidates. From these nominations the Booster Board selects and honors one student each of the season sports. The recipient are given a Tutta Bella gift certificate along with recognition in the Issaquah Reporter, Booster Buzz, IHS enews and the Tutta Bella restaurant. Special Olympics: The Booster Club is a cheer leader for all our students at Issaquah High School. including those with intellectual disabilities. A more unique set of criteria is used to evaluate these amazing kiddos. Congratulations to Colleen Ball, a senior at Issaquah High School. Colleen has been selected as a Tutta Bella Scholar Athlete by the Issaquah Booster Club and Tutta Bella Neapolitan Pizzeria! Colleen’s hard work and dedication to tennis earned her a varsity spot all four years of high school. This work ethic and dedication shines in her off season play at the Bellevue Club and Robbinswood. 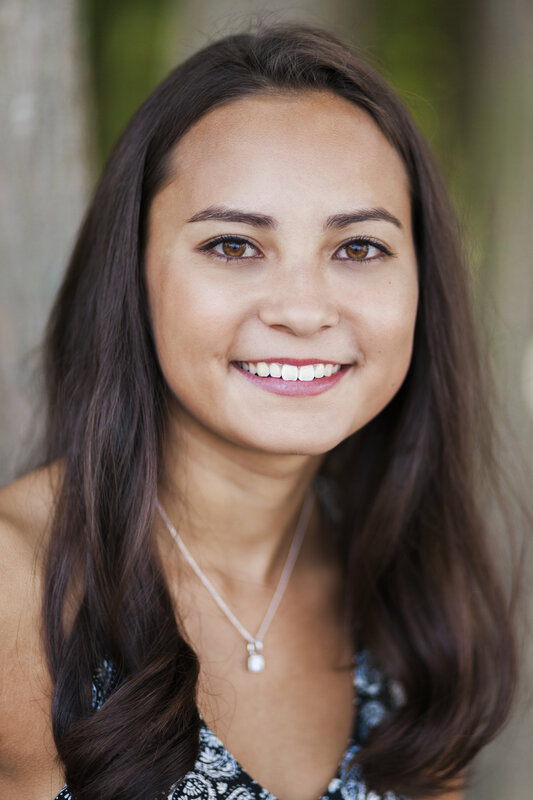 Colleen excels in school an estimated GPA of 3.95 while taking 6 AP classes and 4 years of Japanese. Colleen has been Eagle Crew for 2 years, played violin in the Issaquah High School Orchestra for three years and is a member of the National Honor Society. Colleen aspires to be a high school math teacher so she has tried to get as much experience with kids and the classroom as possible. She volunteered with her 3rd grade teacher after school all through middle school and freshman year of high school. She was an elementary school tutor 2nd graders and math tutor in Mr. Bachman’s math class. Colleen has also been a courageous chaperone on the Camp Orkila Trip for 5th graders. Colleen looks forward to attending Whitworth University this Fall. She has been awarded Whitworth’s highest available academic 4-year scholarship, the Mind and Heart scholarship. Colleen is an exemplary scholar athlete. Her hard work and dedication have made her a shining example to represent Issaquah High School. Congratulations, Colleen, and best of luck in the future! Congratulations to Justin Buckner, a senior at Issaquah High School. Justin has been selected as a Tutta Bella Scholar Athlete by the Issaquah Booster Club and Tutta Bella Neapolitan Pizzeria! Justin is a stand-out, 3-year varsity starter and has received the honor of being named 2ndTeam All-Kingco Pitcher in 2017 and 2018 . Justin helped lead his team to State as 1stPlace Kingco Champions in 2017 and 2ndPlace in 2018. Justin was also a 2018 Scholar Athlete. In the off season, Justin is going into his 3rdyear as starting 3rdbaseman and pitcher for his Lakeside Recovery Senior Legion 18U Team and was recognized in 2016 and 2017 on the Perfect Game NW Showcase Top Prospects List. In addition to athletics, Justin excels in school an estimated GPA of 3.3. 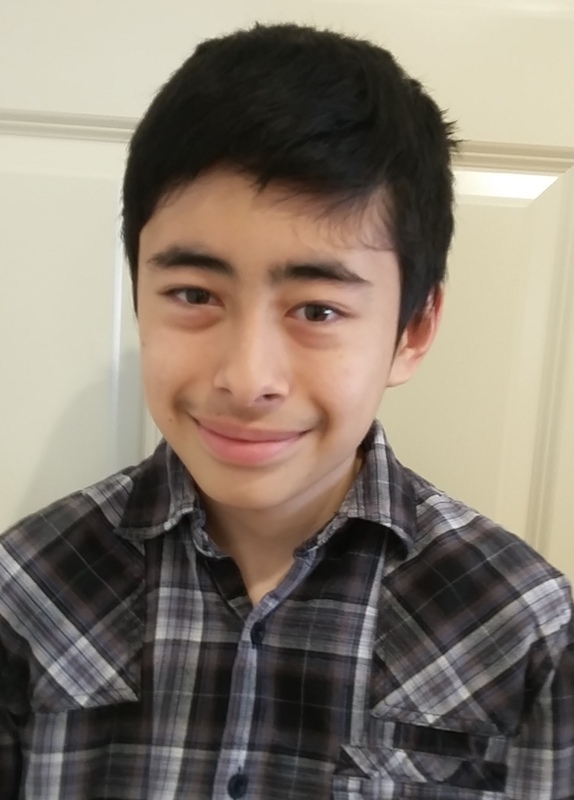 He has been a part of the IHS iVision program for two years, and winner of the Issaquah Schools Foundation Video Contest in 2017. In the community Justin volunteers for the Issaquah Schools Foundation event booths, Issaquah Little League and has been an Athletes for Kids mentor since 2016. Justin is an exemplary scholar athlete. His hard work and dedication have made him a shining example to represent Issaquah High School. Justin has been a huge asset to the Baseball program at Issaquah High for the past 4 years and will truly be missed. This fall Justin is planning on attending Chapman University, in the Dodge College Television and Broadcast Journalism program. Congratulations, Justin, and best of luck in the future! Congratulations to Mackenzie Crandall, a senior at Issaquah High School. Mackenzie has been selected as a Tutta Bella Scholar Athlete by the Issaquah Booster Club and Tutta Bella Neapolitan Pizzeria! Mackenzie earned three varsity letters as a member of the Cross Country team, including one trip to State in 2016. 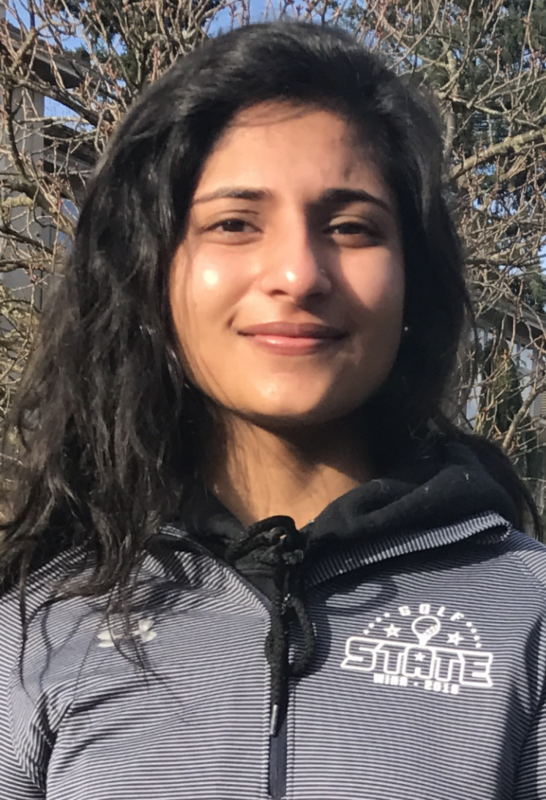 As a track athlete, she advanced to State as an individual in the 400m run in 2017 and 2018, won three State Championships in the 4x400m relay, and set the school record in the 4x200m relay with the third fastest time in Washington State history (2017). Mackenzie was a key member of four KingCo team championships and two state championships (2015 and 2016). She committed to putting forth her best efforts every time she stepped on the track. She was a fierce competitor who inspired others around her. Mackenzie also excelled in school, maintaining a 4.0 GPA while taking multiple AP and Honors classes. She was a copy editor of the school magazine and a member of the National Honor Society. In her spare time Mackenzie served as an elementary tutor at Clark Elementary, teacher’s aide at local elementary schools in the district, babysitter, nanny, and a member of Young Life. She also played premier soccer for Eastside FC. Mackenzie has been an exemplary scholar athlete. Her hard work and dedication have made her a shining example to represent Issaquah High School. She will move on to attend West Point and run for the Army Women's Track Team. Congratulations to Caiden Duke who has been selected as a Tutta Bella Scholar Athlete by the Issaquah Booster Club and Tutta Bella Neapolitan Pizzeria! Issaquah Special Olympics Coach, Rob Enghusen nominated Caiden and calls him inspiring. Caiden has been an active athlete while attending Issaquah, playing on the Special Olympics Basketball team and Track & Field Team. In his spare time, Caiden loves to swim, ride his bike and scooter. He also has the need for speed, racing go-karts at K1 Speed in Bellevue. Caiden is an excellent representation of what is important in a scholar athlete. His hard work and dedication have made him a shining example to represent Issaquah High School. Congratulations, Caiden! Congratulations to Kendall Gentzen, a senior at Issaquah High School. Kendall has been selected as a Tutta Bella Scholar Athlete by the Issaquah Booster Club and Tutta Bella Neapolitan Pizzeria! After writing an excellent essay on why she would be a good leader, the team nominated Kendall as Team Captain. She has been named All-Kingco as an outfielder and more importantly a scholar athlete award winner all four years of playing softball. Kendall is also a Rotary Athlete of the month award winner. Outside of being an outstanding athlete, Kendall excels as a student, focusing on math and science. She is a member of the National Honors Society, and the Teen Leadership and Children club (TLC). Kendall has also participated in SIFF (Sharing Interests and Forming Friendships) and is a member of the Issaquah High School Eagle Crew. In the community Kendall has volunteered with organizations such as the Pacific Science Center where she supported, the Art of the Brick exhibit, the Open Windows School summer program and Kelsey Creek Children’s summer camps. She has also volunteered her time with other local charities such as Salmon Habitat restoration, cancer research fundraisers and low-income donation centers. It is clear that Kendall is an exemplary scholar athlete. Her hard work and dedication have made her a shining example to represent Issaquah High School. Kendall plans on attending Cal Poly this fall to study biomedical engineering. Congratulations, Kendall, and best of luck in the future! Congratulations to Cade McDougall who has been selected as a Tutta Bella Scholar Athlete by the Issaquah Booster Club and Tutta Bella Neapolitan Pizzeria! Cade has been an active athlete while attending Issaquah, playing in the special Olympics basketball for 3 years, Special Olympics softball in 2017, Special Olympics bowling in 2018, and the practicing with the Special Olympics soccer team in 2017. Cade give back to him community, last year volunteering for Keeping Issaquah clean, picking up trash around the Salmon hatchery. He attends the Issaquah Community Center Youth Group to interact with peers, do hikes, walk around town. His favorite walk it to yogurt! As a whole, Cade loves being involved with friends and the community. When he sees something he can do to help, he will take the initiative to do it. This is not always is good, but his intentions are pure, always wanting to help clean up trash, and put chairs away. Cade like to be part of the team to get things done and take care of the place he calls home, Issaquah. Cade is an excellent representation of what is important in a scholar athlete. His hard work and dedication have made him a shining example to represent Issaquah High School. Congratulations, Cade! 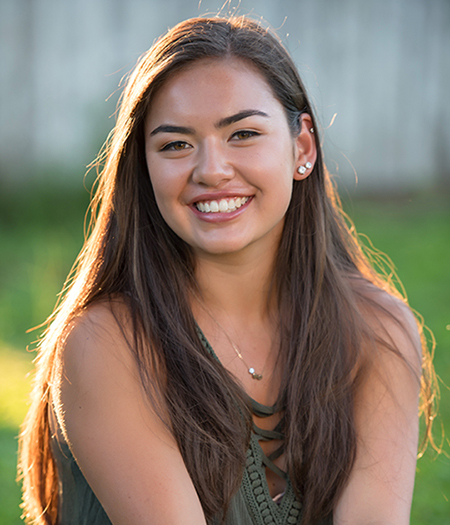 Congratulations to Meg Raman, a senior at Issaquah High School. Meg has been selected as a Tutta Bella Scholar Athlete by the Issaquah Booster Club and Tutta Bella Neapolitan Pizzeria! 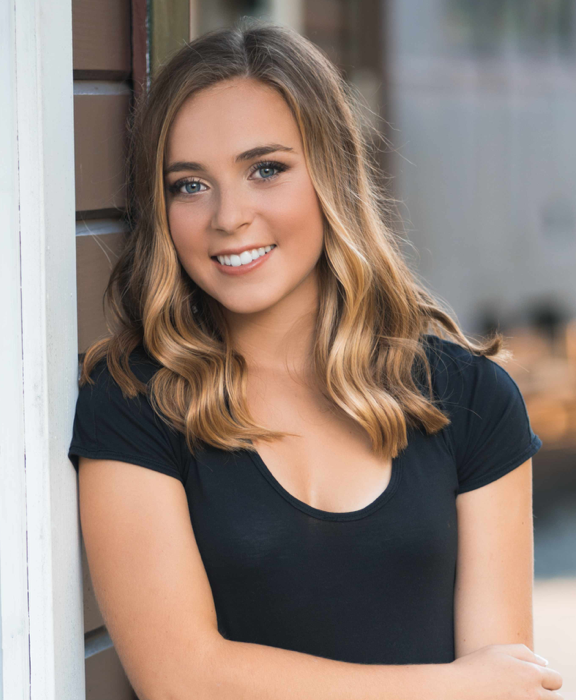 Issaquah Girls Golf Coach, Tom Bakamus nominated Meg and writes: “Meg has shown great leadership skills with her knowledge of golf and willingness to help others. She has been a valuable member of the team for four years and one of the prime reasons the 2017-2018 girls golf team is the Kingco League and tournament champions!" This year Meg was co-captain of the golf team, a 4-year scholar athlete, has been nominated Most Valuable Player 2 of her 4 years, and recognized 2nd Team All-Kingco last year and 1st Team All-Kingco this year. She will be participating at State for her 4th year in a row. Meg is well known and liked throughout the league, and coaches rave about how she handles herself on the course even through bad times. At the end of the day her smile and respect for others always comes through. Outside of Issaquah High School Meg’s passion for 9 years has been playing recreational cricket. 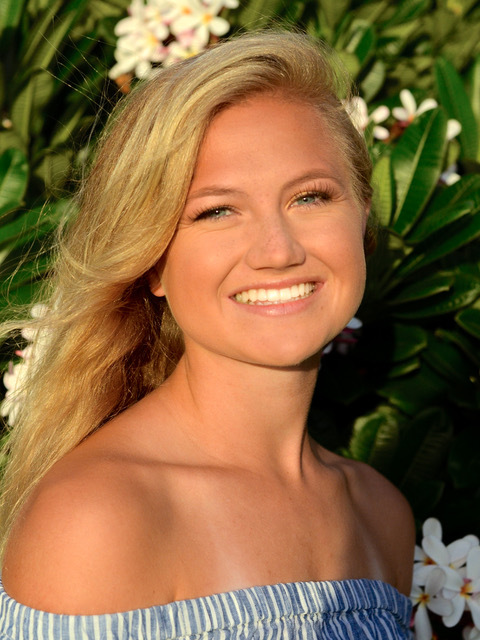 Meg excels in school, maintaining a 3.9 GPA while taking advanced placement and honors classes. In the community Meg is enrolled in the Junior Health Scholar Program at Swedish Hospital in Issaquah, clocking over 200 hours of service credits. Meg shadows nurses and doctors as well as helps with feeding and bathing patients. She is earning her certificate in Patient Experience and Health Professions Studies. Meg is an exemplary scholar athlete. Her hard work and dedication have made her a shining example to represent Issaquah High School. Congratulations, Meg, and best of luck in the future! Congratulations to Nick Rodgers, a senior at Issaquah High School. He has been selected as a Tutta Bella Scholar Athlete by the Issaquah Booster Club and Tutta Bella Neapolitan Pizzeria! Nick has participated on the Boys Track team for 3 years and Cross Country team all four years, earning 3 varsity letters in Varsity and Track. Nick has served as Cross Country Team Captain in 2017 and as Track Team Captain in 2018. This Spring, IHS Boys Track took home the State title and Nick competed at State in the 4x400 Relay. Between Track and Cross Country, Nick has been recognized as a scholar athlete eight times. Outside of Issaquah High, Nick volunteers as a coach with Issaquah Gliders running program and a youth soccer referee. 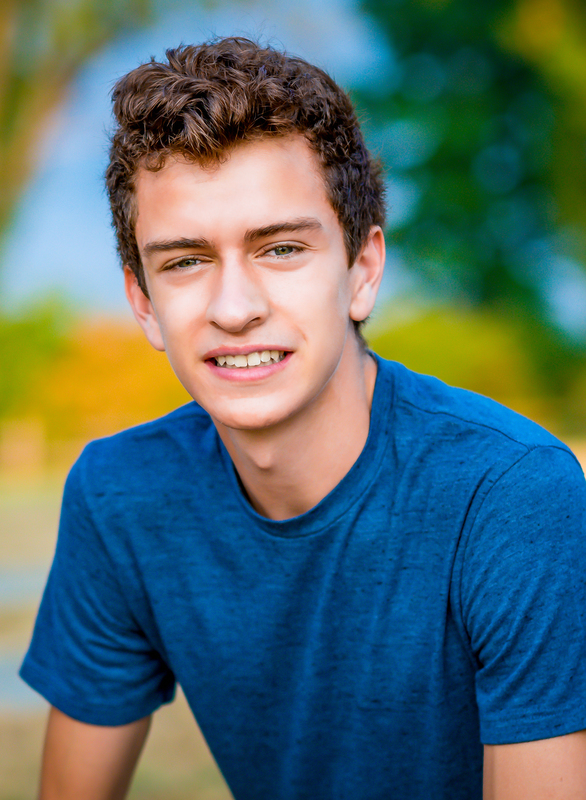 Nick also excels in school with an estimated 4.0 GPA while taking numerous AP classes. He is involved with the 6-time National Championship Advanced Sport Medicine program, is ASB Treasurer, and a valued leader of the Issaquah Eagle Crew. Nick also is a recipient of Issaquah High Integrity Award and Outstanding Physical Education Student Award. Nick is an exemplary scholar athlete. His hard work and dedication have made him a shining example to represent Issaquah High School. 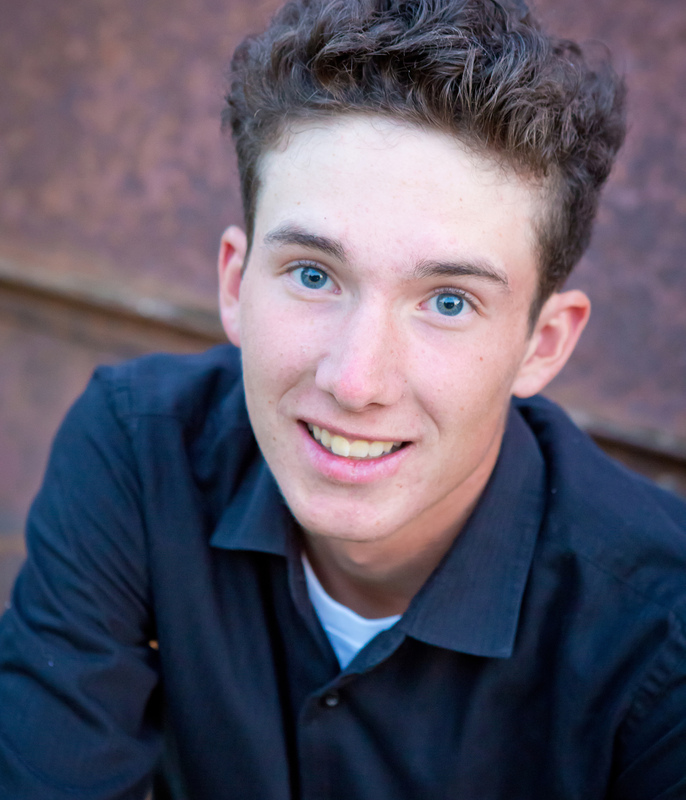 Nick plans to attend Cal Poly next year to study biomedical engineering. Congratulations, Nick, and best of luck in the future! 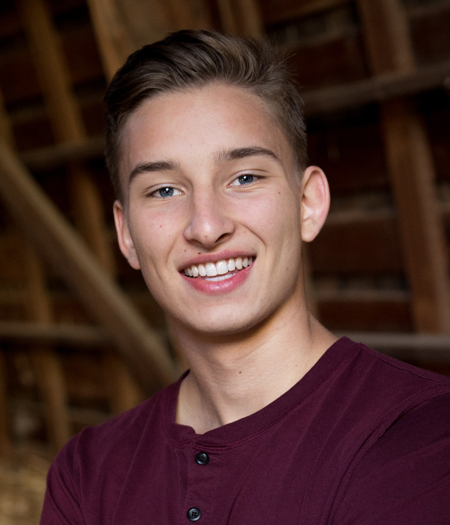 Congratulations to Joey Jensen, a senior at Issaquah High School. He has been selected as a Tutta Bella Scholar Athlete by the Issaquah Booster Club and Tutta Bella Neapolitan Pizzeria! Joey completed his 4th varsity season having earned most improved player 3 years in a row. (Freshman thru Junior) This year Joey continues to be a role model on the team, receiving the team award of TSU which stands for Toughness, Skilled, and Unselfishness. This was the team motto for the year and Joey was the player who demonstrated all three at the highest level throughout the season. Joey stood out in the district, making 2ndteam All-KingCo. In addition to basketball, 6’7" Joey is an accomplished Track star, this being his 4th year on varsity. The spring of his junior year Joey competed and won both Shot Put and Discus at the district competition and went on to win 8th in Shotput with a PR of 50'4 and 4th in Discus at the State competition. He currently holds the state record in both events after a PR in both events at his first track meet. Joey is an exemplary scholar athlete with an estimated GPA of 3.2. His hard work and dedication have made him a shining example to represent Issaquah High School. Joey plans to attend Washington State University and has his hopes to throw for the track team. Congratulations, Joey, and best of luck in the future! 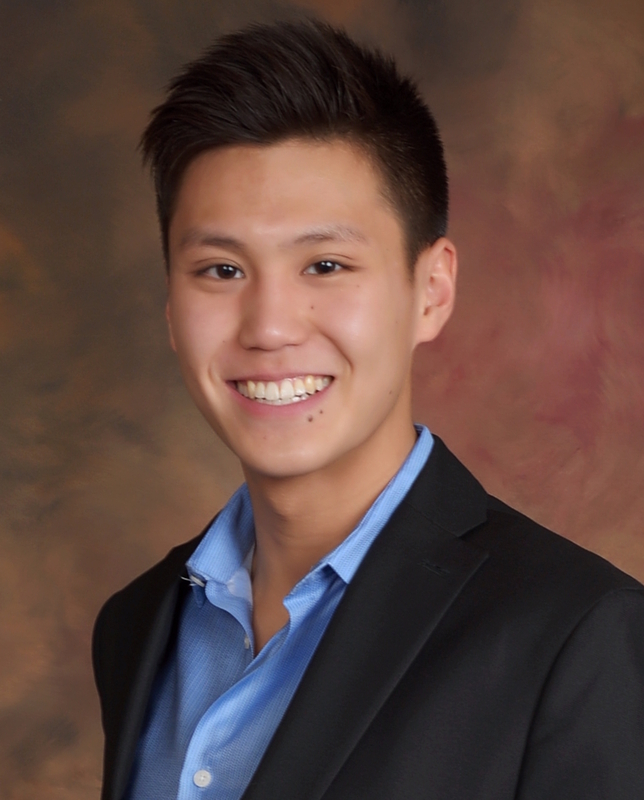 Congratulations to Brandon Leu, a senior at Issaquah High School. Brandon has been selected as a Tutta Bella Scholar Athlete by the Issaquah Booster Club and Tutta Bella Neapolitan Pizzeria! In addition to athletics, Brandon excels in school an estimated GPA of 3.67. He is very involved at Issaquah High in Key Club and Sports medicine club. Brandon served as the Vice-President of the Sports Medicine Club his junior year. Brandon is also involved in the Issaquah community. 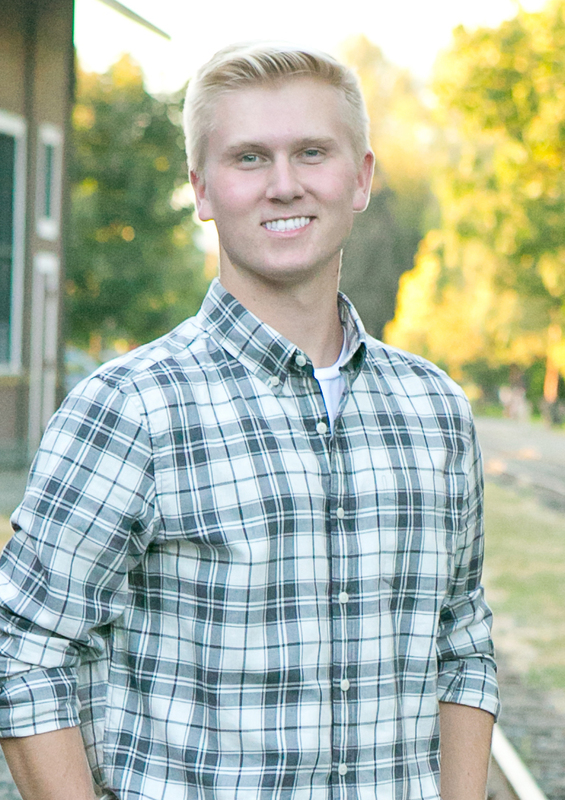 He has participated in Relay For Life for 4 years, volunteered at the Issaquah Food Bank, the local YMCA and Boys & Girls Club as summer camp counselor, and has been involved with Special Olympics Swimming in Washington, volunteering for 3 years. Brandon is an exemplary scholar athlete. His hard work and dedication have made him a shining example to represent Issaquah High School. Brandon has been a huge asset to the Boys Swim and Dive program at Issaquah High for the past 4 years, he will truly be missed. Congratulations, Brandon, and best of luck in the future! Congratulations to Claudia Longo, a senior at Issaquah High School. She has been selected as a Tutta Bella Scholar Athlete by the Issaquah Booster Club and Tutta Bella Neapolitan Pizzeria! Claudia has excelled all four years playing at Issaquah. As a sophomore midfielder in 2015, She helped the Eagles win the 2015 Class 4A girls soccer State Championship. As a senior, Claudia was on the Star Times All-Area Team, was on the 1st Team 4A All State team, and won the United Soccer Coaches Award; All Region. Claudia was also the 4th ever Issaquah Eagle to be named to the West Team for the Girls’ High School All-American Game in Orlando Florida. Max Preps ranked Claudia as 33 in Nation and 3rd in State. Claudia is an exemplary scholar athlete with an impressive GPA of 3.99! Her hard work and dedication have made her a shining example to represent Issaquah High School. Claudia has committed to play collegiate soccer at the University of Washington next fall. Congratulations, Claudia, and best of luck in the future! 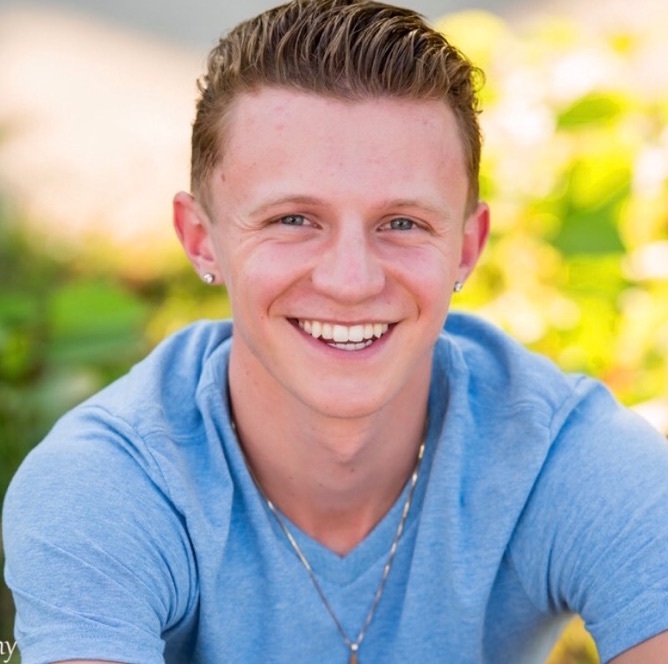 Congratulations to Cole Chase, a senior at Issaquah High School. He has been selected as a Tutta Bella Scholar Athlete by the Issaquah Booster Club and Tutta Bella Neapolitan Pizzeria! Cole is truly an outstanding, 4-year varsity golfer. He was named Most Improved Golfer his Sophomore year, and then Most Valuable and Team Captain his Senior Year. Cole was also the Kingco and District Champion this year, shooting rounds of 70 and 66 for a 2-day total of 8 under par. Not surprising, Cole earned a place on the 1st team All Kingco. In addition to athletics, Cole is a top student, maintaining an estimates 3.64 GPA, while taking AP courses. Cole also is a DECA member and student leader. Cole is active in the community, volunteering at the Issaquah Food Bank – sorting food and stocking shelves, helping to cook at the Ronald McDonald House in Seattle, and even helping as a Teacher’s assistant at Grand Ridge Elementary School. Cole is an exemplary scholar athlete. His hard work and dedication have made him a shining example to represent Issaquah High School. Cole has an interest in Business and Finance and has made a verbal commitment to play D1 golf at Robert Morris University in Moon, PA. Congratulations, Cole, and best of luck in the future! 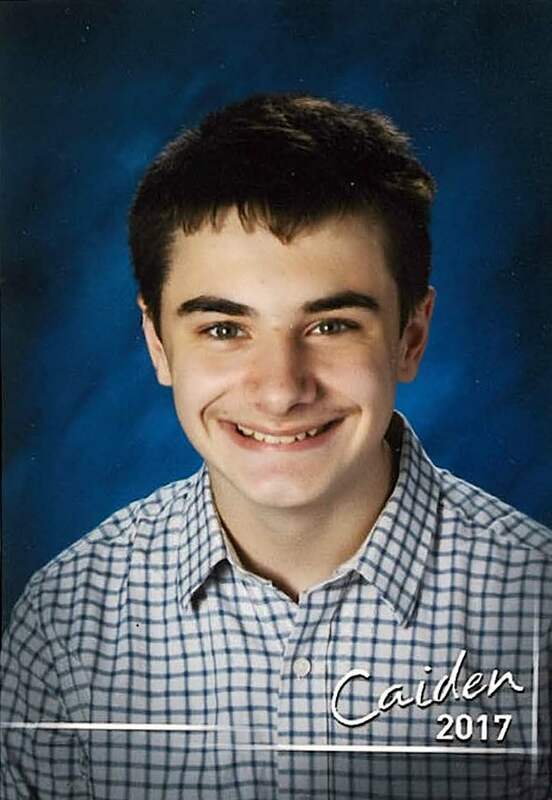 Congratulations to Glen Findlay, a senior at Issaquah High School. He has been selected as a Tutta Bella Scholar Athlete by the Issaquah Booster Club and Tutta Bella Neapolitan Pizzeria! Glen is a leader, serving as Team Captain in 2017. 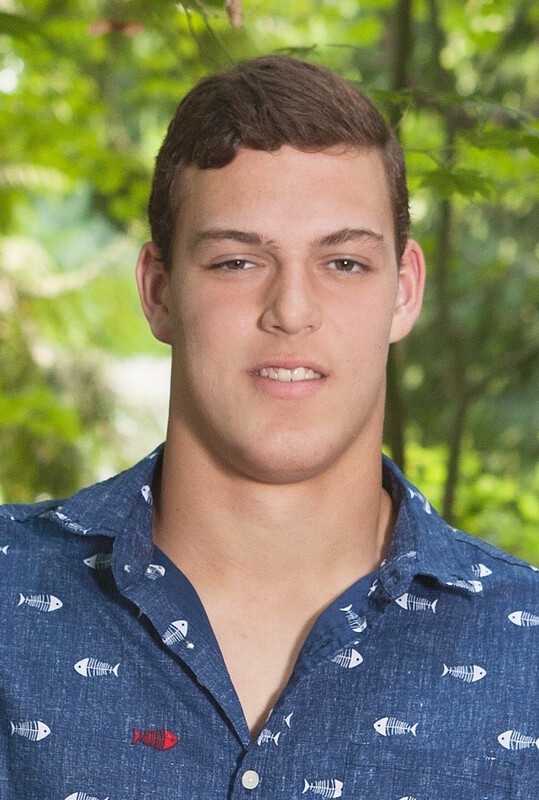 Glenn’s senior year recognitions showcased his achievements in football, winning Dillon S. Reagan “Hammer Award” Offensive Lineman MVP, receiving All Kingco Honorable Mention –Defensive End, and was a nominee for the National Football Foundation Scholar Athlete Award. Glen also gave to the football community as a volunteer for Issaquah Youth Football. Glen did all this while maintaining an estimated 3.695 GPA. He earned 3 Varsity Letters from Issaquah High School Football and 4 student recognition awards from Issaquah High School. He has been appointed “Patrol Leader” in the Marines Reserves Pool Training. Currently his GPA is 3.69 and he volunteers 5-10 hours a week at the Issaquah Food Bank. Glen is an exemplary scholar athlete. His hard work and dedication have made him a shining example to represent Issaquah High School. Post high school Glen is going to participate in the NROTC program in college and is going to serve in the United States Marine Corps. Congratulations, Glen, and best of luck in the future! 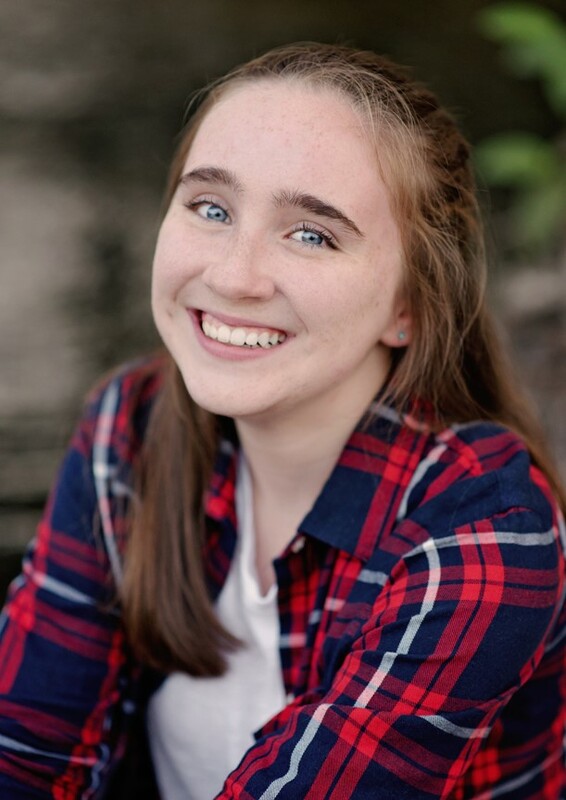 Congratulations to Kenna Clawson, a senior at Issaquah High School. She has been selected as a Tutta Bella Scholar Athlete by the Issaquah Booster Club and Tutta Bella Neapolitan Pizzeria! Kenna has been involved in Cross Country for four years and Track for three years. She is a two-time team captain, All-State cross country all four years; 9th, 10th, 11th and 12th grade, placing in the top 10 the last 3 years. Kenna was also a three-time Border Clash invitee, top runner on the 2016 State Championship Team, and placed in the top 50 at the Nike Cross National Regional Championships 3 years in a row. In track, Kenna has qualified for State Championship in the 3200 in 10th and 11th grade, placing in the top 10. Kenna is a seven-time scholar athlete with a GPA of 3.79. In addition to athletics, Kenna is a role model in the community, serving as a mentor for Athletes of Kids, and Director of Communications for Strong4Sam. She has also been a member of the National Honor Society since 2016 for maintaining a GPA higher than 3.75. Kenna is an exemplary scholar athlete. Her hard work and dedication have made her a shining example to represent Issaquah High School. And, recently, her hard work has paid off as she has committed to University of California, Berkeley to continue her cross country and track career. Congratulations, Kenna, and best of luck in the future! Congratulations to Kate Tuohy, a senior at Issaquah High School. She has been selected as a Tutta Bella Scholar Athlete by the Issaquah Booster Club and Tutta Bella Neapolitan Pizzeria! Issaquah’s Girls Swim and Dive coach, Laura Halter, nominated Kate and writes, “Kate has been a member of the Girls Swim and Dive Team all 4 years of her High School career. She served as a captain for her team her senior year. Kate has been a very positive influence as a team member and as a leader. She leads by example in and out of the pool. She is quick to take initiative and great at keeping everyone focused and working hard. Acting as a “Big Sister” to the incoming freshman she made everyone feel part of the team. 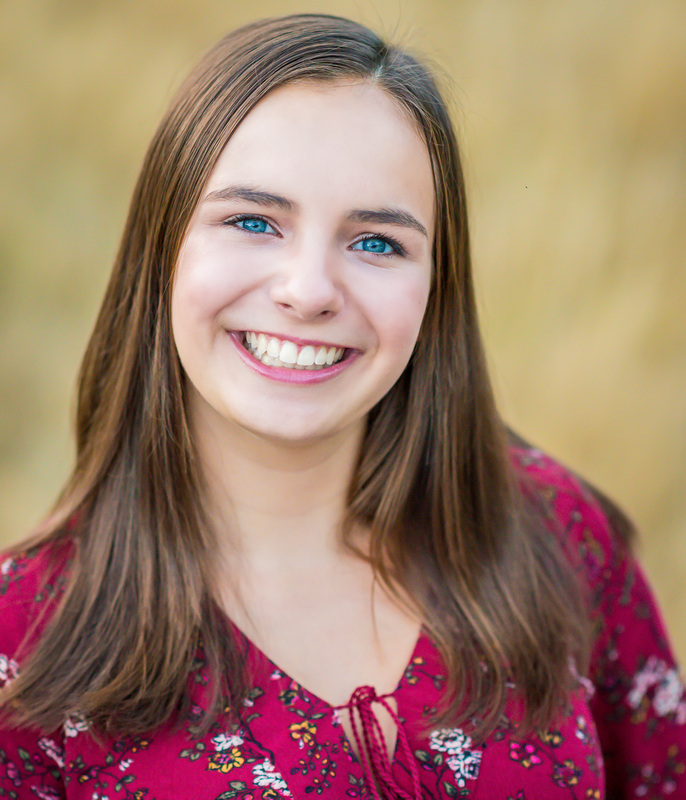 Her infectious smile and quick wit keeps everyone smiling!” With over 3.75 GPA, Kate is an exemplary student and was also recognized as a Kingco Scholar Athlete. Outside of the swim team, Kate is a great leader in many other ways. She serves as the secretary to the ASB , represented her class to the school council as a junior and served on the Eagle Crew. She is also involved in the Women in Science and Engineering Club. Kate also works for the ACE mentorship Program and does volunteer work for the Issaquah Food bank in their bookshelf program. She also serves on the Traffic Court at HIS and volunteers for the Washington Trails Association. Kate is an exemplary scholar athlete. She is a wonderful representation of Issaquah High School spirit, sportsmanship and dedication. Kate has been an amazing asset to the Girls Swim and Dive program for 4 years and she will truly be missed next year! Her hard work and dedication have made her a shining example to represent Issaquah High School. Congratulations, Kate, and best of luck in the future! Congratulations to Luke George, a senior at Issaquah High School. He has been selected as a Tutta Bella Scholar Athlete by the Issaquah Booster Club and Tutta Bella Neapolitan Pizzeria! Luke has been involved in Cross Country for four years and Track for three years. Starting strong, as a freshman Luke was 2014 Student Athlete of the Year. He was team captain in both Cross Country and Track, ran on the 2017 All-State cross country team, an invitee to the 2017 Border Clash, four-time State qualifier in cross country and once in track, and has been All-Kingco and All-District in both cross country and track. If that was not enough, Luke also is a school record holder for Cross Country. Luke’s athletic accomplishments reached beyond Washington State. Last summer he was a silver medalist in the 800 meter and 1500 meter at the 2017Junior Olympic National Meet in Lawrence Kansas. This spring he was awarded the Pacific Northwest Regional USATF Track Athlete of the Year award. Luke is a six-time scholar athlete with an estimated GPA of 3.6. In addition to athletics, Luke is a role model as a member of ASB. Luke is an exemplary scholar athlete. His hard work and dedication have made him a shining example to represent Issaquah High School. Luke has committed to Track & Field at University of Oklahoma. Congratulations, Luke, and best of luck in the future!